To promote critical professionalism and friendship amongst educational leaders from four general constituencies: researchers, developers (trainers & consultants) policy-makers and school leaders (heads and leadership staff) in both public and private educational sectors. To strengthen the links between theory and practice (in both directions) and promote critical analysis and deep understanding of complex and varied educational contexts and issues. To encourage mobility of EL professionals: projects, visits, lectureships, attachments and collaborative R & D in order to share knowledge & experience. To disseminate and exchange EL information, documents, literature and materials. 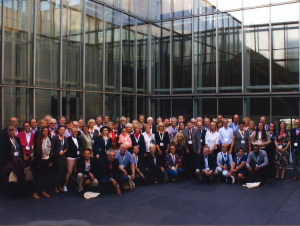 ENIRDELM brings together school leaders, educational administrators, trainers, researchers and consultants from across Europe and beyond, who share an interest educational leadership and management. Its Board of five people (balanced gender; different countries & roles) is renewed by one member annually. A Chairperson, newly appointed from the Board each year, is the organiser of the next annual conference. ENIRDELM has an on-line Voluntary Permanent Secretariat, Newsletter Editors and Webmaster. ENIRDELM members engage in organised networking (annual conference in September; web-site; joint research and development projects; publication of books, conference proceedings and a twice-yearly newsletter in April & November) and self-generated activities (materials exchange; study visits; visiting lectureships; invitation to give lectures and workshops; etc.) There is no membership fee in this uniquely self-sustaining community of practice that thrives on the energy of its members.